One Hit Wonders Or Life Time Value? 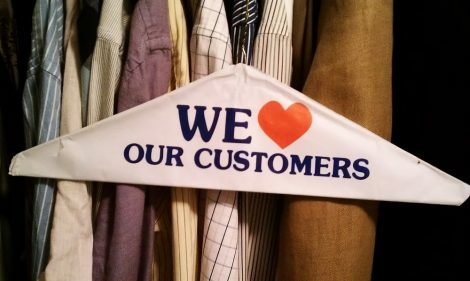 A lot of dry cleaners believe that if they can get a customer in the door with an order, give them good service and quality cleaning, and do so at a low price, the customer will return and become a customer for life. If that truly was the case, your business would be doubling at a compound rate every year. The sad fact is, many cleaners are simply chasing rainbows and deluding themselves when it comes to earning new customers, forming and building relationships and building a bigger, better business. In a previous article, I’ve asked you to go to your point-of-sale system and take a look at your customer count (number of customers in your system). If you did what I asked, I’d like you to go take a look now and see how many customers you have in your point-of-sale system. Has your customer count increased? Decreased? Is it the same? If you don’t know or can’t answer, I’m afraid I have some bad news for you…. You have spent a lot of money getting a new customer to come in once; it makes sense to capitalize on that investment by trying to extract maximum value out of every new customer. You really should have a program in place to maximize the value of every new customer you’ve acquired. My clients are trained to follow up with every new customer. It takes at least three visits to break a customer of a habit of going to the other cleaner, so it’s vital that EVERY new customer be followed up shortly after picking up their first order. I like to follow up with a new customer inviting them to come back again, sometimes including a small gift, or perhaps a special offer. The idea is to get that second order as soon as possible and then get to work on getting that all important third order. Once a customer has made a third order, the odds of that customer coming back again jumps dramatically. How much does odds of returning jump after the third order? Usually, the odds reverse to higher than 60 percent chances of returning. Every new customer will settle somewhere into your customer list at some level. Some customers will remain at the small time Charlie level, meaning they come in once a year or less with one pair of pants (the wedding and funeral crowd who only come in when they have a wedding or a funeral). Some will be seasonal customers with one order every four months. And some will end up in your top ten percent big spenders list. Following up with new customers to set the hook and lead them into the spending level they should be at is a no brainer, yet very few businesses do it. Frankly, it costs a lot more money to get a new customer than it does to keep a current customer. Many cleaners focus on attracting the one hit wonder customer when you really need to be marketing for customers with life time vale? In addition to the cost of mass media marketing to attract those few new customers, there is the additional cost of discounting your work to get the customer through the door one time, perhaps even having to give away the entire first order. If you market to the customers you already have, you can offer a much lower discount and get a response and order. Keeping a customer, encouraging them to bring in one extra piece or even one extra order per year is much more cost effective and financially rewarding. It’s not uncommon to see response rates of 5 to 30 percent from a current customer list compared to a one half to 2 percent response rate from a prospecting marketing effort. In all reality, you DO have to go prospecting for new customers. 20 percent of the population moves every year, so basically in five years, your entire market place has had complete turnover of customers. This is why I recommend running both a New Customer prospecting program and a CRM (Customer Relationship Management) program. Keeping a steady parade of new customers coming in to replace customers who die and move away will keep your business healthy. First, we don’t own our customers. Every customer is a free agent, capable of leaving us for another cleaner at any time. At best, we can earn our customer’s loyalty, but we should NEVER assume a customer owes us anything. We need to get in front of new customers regularly to introduce ourselves and our services and we need to remind current customers that we are here to serve them again (and again, and again). Second, not every customer is created equal. Look through your customer list again, you’ll see customers who haven’t spent anything for a couple years, and then you have customers who come in with an order every week (or even more) and spend thousands of dollars annually with you. And then there are customers everywhere in between. We need to reach out to different customers in different ways: new customers need to be educated and grown into their place in our sales levels. Third, we need to remember that we must design marketing programs to attract and keep the KIND of customer you are looking for. (one hit wonders or customers with life time vale). Building a business requires plans and execution. I’m here to help you do both! Please feel free to reach out via email, my website or telephone if you need assistance of any kind.